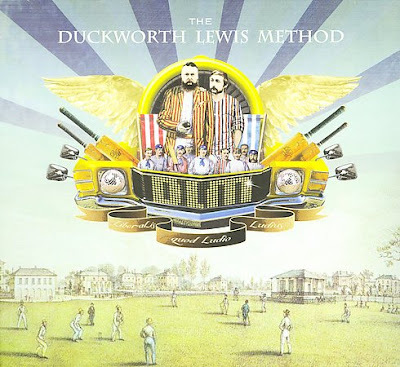 Discussions Magazine Music Blog: Get to know THE DUCKWORTH LEWIS METHOD! Get to know THE DUCKWORTH LEWIS METHOD! One of the catchiest tunes out there right now is "Meeting Mr. Miandad" by THE DUCKWORTH LEWIS METHOD! The track is available on their fab self-titled album available NOW (but only as an import). This duo is actually a lighthearted side-project from THE DIVINE COMEDY's Neil Hannon and PUGWASH's Thomas Walsh. Thankfully, the rest of the album is just as fun and melodic as the single and should be purchased immediately by anyone who digs great melodic Pop/Rock with a '60s influence. But don't take my word for it: check out "Meeting Mr. Miandad" for yourself!